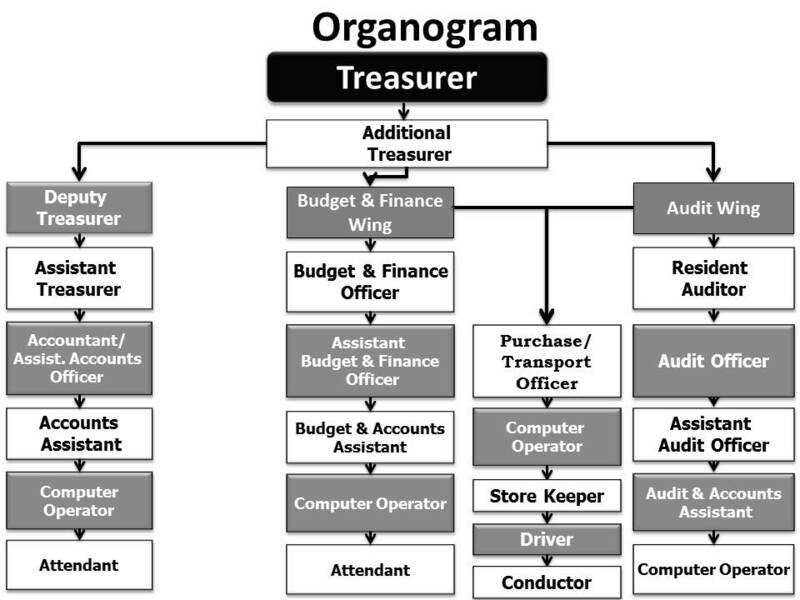 The Treasurer’s office has the most important task of managing the university’s financial assets and liabilities. It is exclusively responsible for managing the finances of G.C.W.U.S with complete honesty, wisdom and foresight for the betterment and expansion of the university. Preparation of Annual and Revised Budget and Statement of Annual Accounts. Submission of Budget Proposals for funding to the Higher Education Commission, Islamabad. Submission of S.N.E. / Grant-in-Aid to the Government of the Punjab. To arrange meetings of the Finance & Planning Committee, preparation of working papers/agenda of the meeting. Dealing with cases of Re-appropriation of funds. To get the funds (development and non-development) from Government of the Punjab. Process the fund releases cases in the Finance Department, Accountant General Office and Treasury Office. Submission of information relating to Budget and Finance of the University to the Higher Education Commission, Islamabad/ Governor’s Secretariat / Government of the Punjab. Dealing with the replies of Assembly Questions relating to the finances of the University. Dealing with the Pay Bills / Arrear Bills of the University Staff. Maintaining Cash Books/Income & Expenditure Registers. All procurements of the University as well as Development Projects. To register suppliers in the University. To arrange the meeting of the Standing Purchase Committees. To arrange, attend and write the minutes of all the meetings of Purchase Committee. To keep the proper record of the Fees and other dues to be collected from the Students. To maintain the record of Scholarships paid to the students and refund of Fees.